This month is Autism Awareness Month. Autism is not something we can see from the outside looking in and currently, there are far more questions than answers. The brain and how it works is mysterious and amazing. That raises another question: What are some ways to encourage brain development in all children? Here are some encore posts on young children, kindergarten readiness, and multiple intelligence. Hum the tune for “Wheels on the Bus” and sing “Kindergarten Readiness is not too hard, not too hard, not too hard. Sing songs; these can be ones that you remember, new ones that your child learns and teaches you, or ones that are j ust made up using familiar tunes. Listen to music. Libraries have collections that you can borrow to increase variety and ease budgets. There are often school bands or youth choirs performing at free events in the communities. 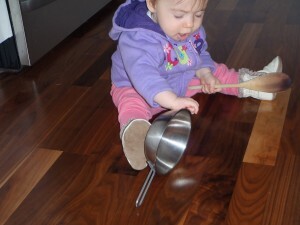 Create some noisy, I mean musical, instruments to add to the music toys in the toybox. Let your child drum away on the pots and pans or shake something in a can. My friend Craig Duswalt, who was personal manager for Axl Rose and toured with Guns n’ Roses, advises adults to listen to music to increase their creativity and effectiveness in business, so for children…. Umm, maybe that’s not such a positive story to include in a blog on activities for music-smart kids. A better one would be about Angela Crocker, author of the Complete Idiot’s Guide to Creating a Social Network, who is also a director for Coastal Sound Music and a member of a choir herself. 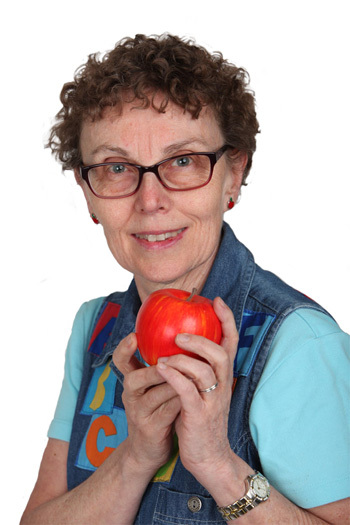 Her son loves music and singing and after kindergarten one day asked to listen to an older children’s choir practice. Like all children–and adults–Sean has areas that are strong and music is one of his strengths already at ayoung age. You have heard this before, about each child’s unique strengths and challenges, but All children can benefit from brain stimulation through music. Baroque music in particular can prepare the brain for learning math. 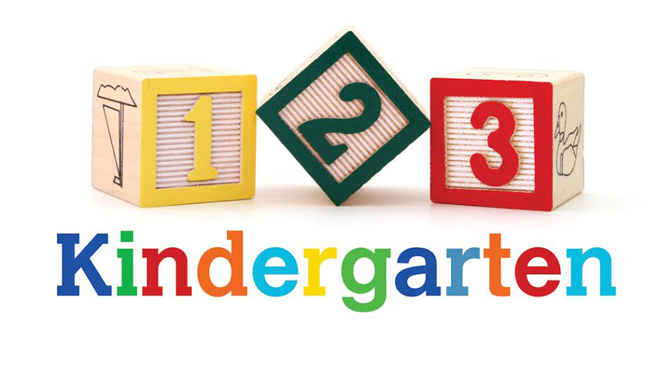 Is this tune stuck in your mind, Kindergarten Readiness is …? 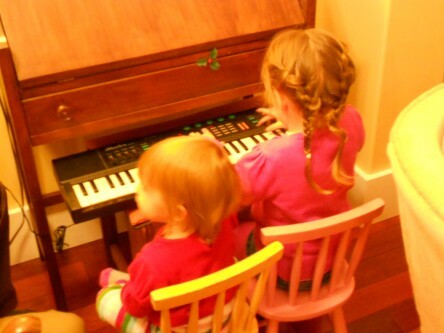 How will you encourage your child to be music-smart? Last week, I was at a seminar for business entrepreneurs, and one of the recommendations was to listen to music! 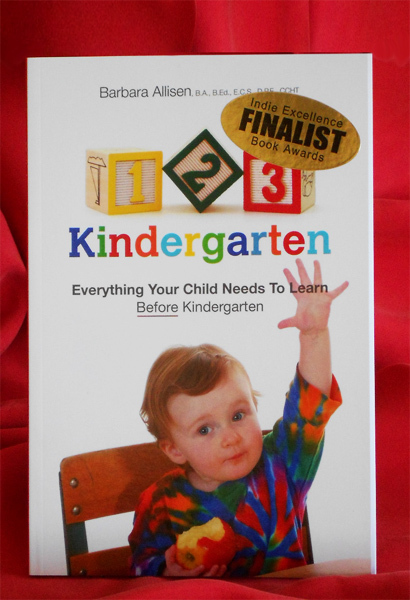 Did you know that’s important for kids too, for fun, learning and kindergarten readiness? When it comes to business, I need all the help I can get because the kindergarten level is where my entrepreneur skills are. Thankfully, listening to music is easy to do. Listening to music stimulates more than toe tapping and hand clapping. Many parts of the brain are involved, as well as the body and our emotions. The brain connections and pathways that form as kids listen to music help kids to be music-smart and will benefit language, math, and science. Music also stimulates creativity, and kids can create their own music and rhythm. Instruments can be as natural as two rocks tapping together and as convenient as hands and feet or kids can use real ones. Music has rhythm, and life is based on rhythm. Think of our heartbeats and breathing. The rhythm of rocking is soothing and bodies respond by relaxing and sleeping. Lots of singing games will use a clapping rhythm. 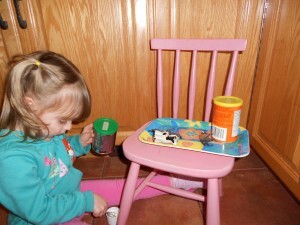 Kids will happily drum a rhythm on anything, including the cat. Pots and pans make drums with lots of noise; a wooden spoon and a phone book make a quiet one. 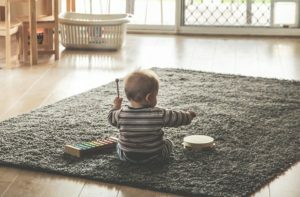 Unlike having a business where experience and knowledge are so important, you do not have to have a great voice or play a musical instrument in order to include music for your child. From even before birth, babies will respond to the voices of their parents, so don’t limit singing to just the shower! 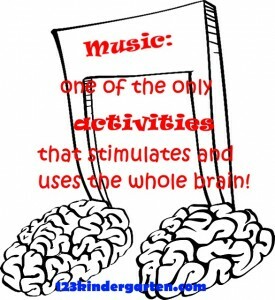 Besides singing, include listening to different types of music, and participating in music fun. Often, there will be children’s performers at community events and many bands in parades. 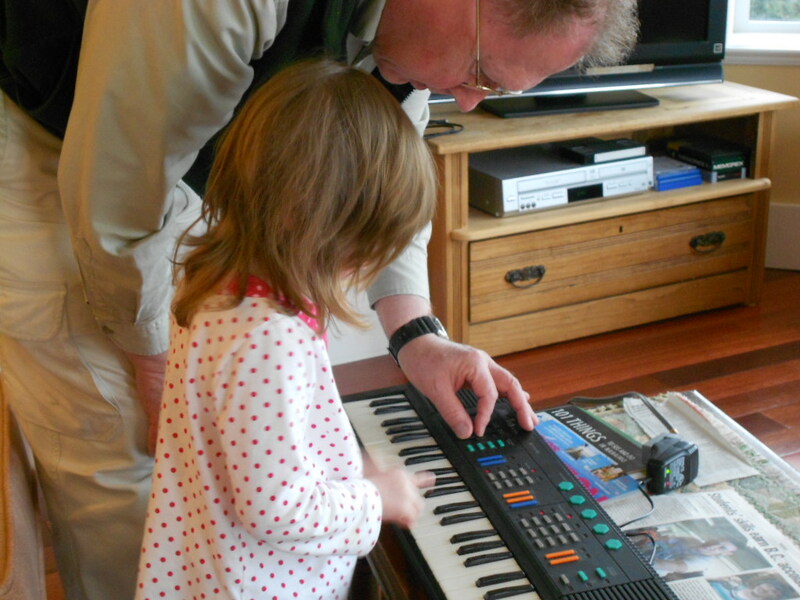 Are there some ways to make and enjoy music for your child’s play-of-the-day?